The Black Hills’ premier music festival since its inception 20+ years ago. The Deadwood Jam stage has featured a variety of leading musical acts, including Collective Soul, Blood, Sweat & Tears, Atlanta Rhythm Section, The Wallflowers, Robert Randolph and the Family Band, Alison Krauss, Mat Kearney, Fastball, Rocco DeLucca, The Young Dubliners, Robert Cray, Big & Rich, George Clinton, Koko Taylor, The Grass Roots, April Wine, Filter, Lit, The Nitty Gritty Dirt Band and many, many others. 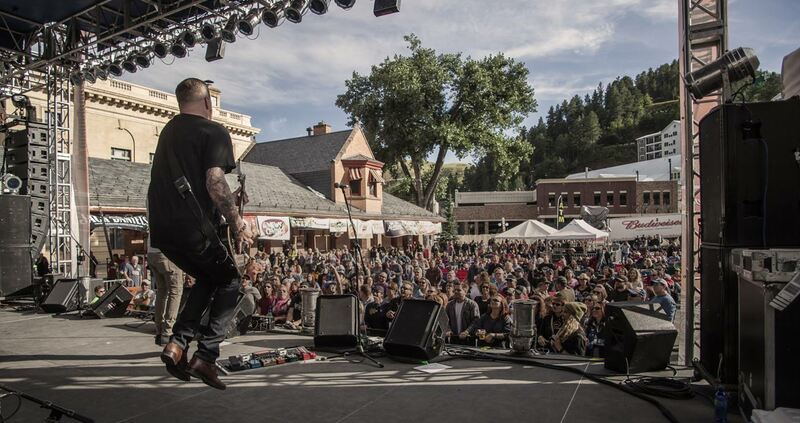 Each year, the Deadwood Jam brings a wide array of top musical talent to the Black Hills from celebrated acts to newcomers, rising stars and local talent. Detailed schedule and lineup coming soon.